This fabulous, moody film isn’t your typical jock flick where bitter rivals compete to a crowning, sweaty end. 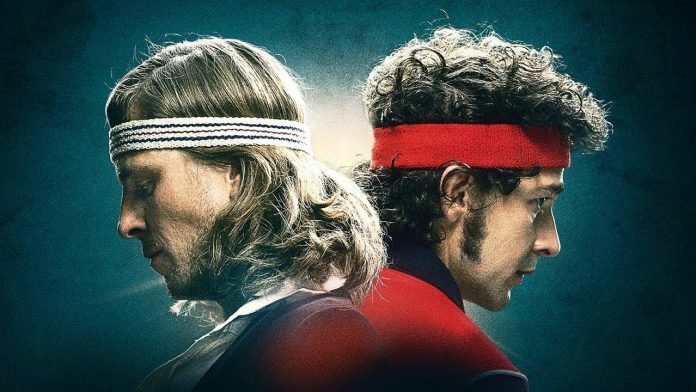 “Borg Vs. McEnroe” says it is “inspired by true events” which gives it plenty of wriggle room when it comes to the truth. This fabulous, moody film isn’t your typical jock flick where bitter rivals compete to a crowning, sweaty end. There isn’t a real victor in “Borg Vs. McEnroe ” and the points don’t prove anything. It’s less a tennis movie than a meditation on the personal costs of chasing excellence.